I have long wanted to make a Duvet Cover for our bed and when I was searching for inspiration for making one I found two which I loved. The first one was quite minimalistic and modern and the other one was very romantic and quite girly. 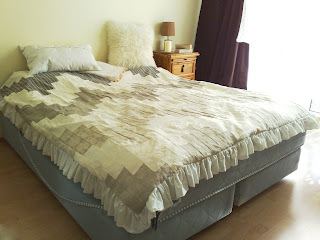 Both of the posts have instructions for making the duvet covers, so if you'd like to make one the instructions are there. 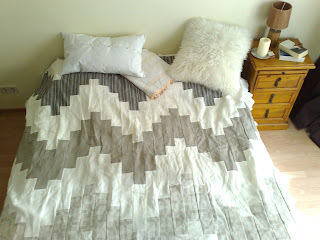 I wasn't able to decide which one I'd like to make and so I combined the two and made a two sided duvet cover. I didn't follow the instructions too strictly but I got my basic guidelines from them and then I just made some modifications to suit what I wanted to make. For the minimalistic side I bought a bunch of linen in different shades of grey and also white. I cut it all up and organized the pieces according to the directions. After this it was all sew, sew, sew. Seems relatively easy but it took me a looooooong time to do all of that. It was partially because of the pattern and partially because I just got tired of doing the same thing all over again and again and I'm not even talking about the times I messed something up and had to take it apart and start again. But I pushed through and got it done :)). For the romantic side I bought a 220cm x 220 cm bed sheet to use as a "base" and for the ruffles I used some old cutup cotton sheet I had lying around. I started by cutting the base piece to fit the minimalistic side I had already finished (so about 200cm x 180cm). Then I cut out long strips of fabric in different widths. After this I hemmed all the long sides of the strips with the zig-zag stitch on my machine because I don't want the pieces fraying too much. 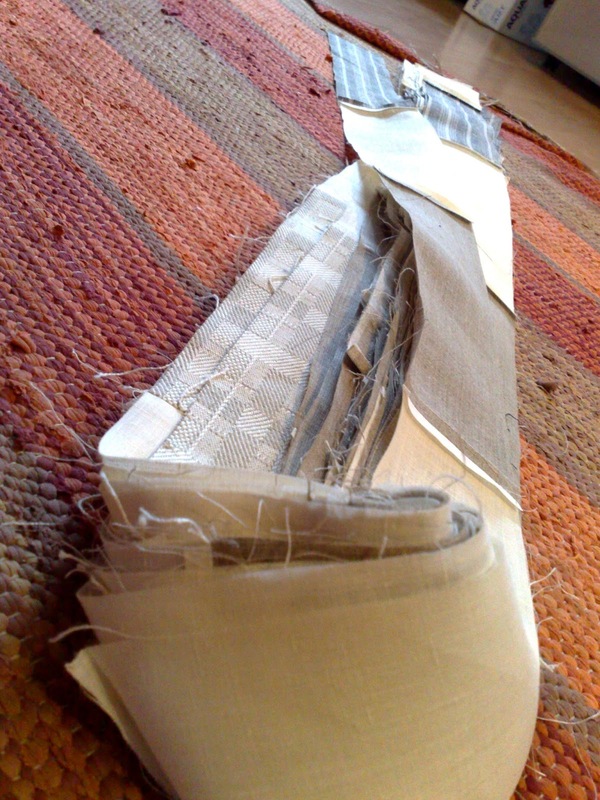 And then I started ruffling the strips. I made the ruffles just by gathering the fabric while sewing at the same time, I found this to be the most efficient and fastest way to do it. 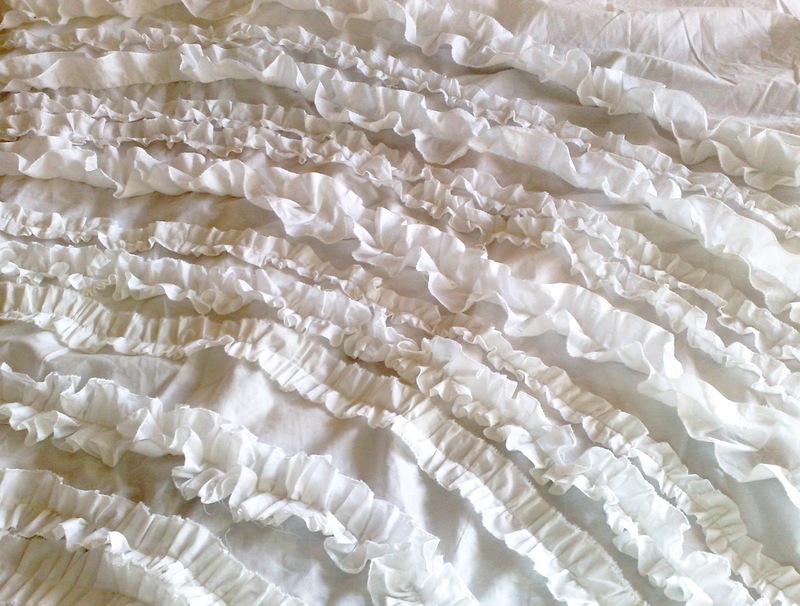 I also made the ruffles in different widths to add some more dimension and versatility. 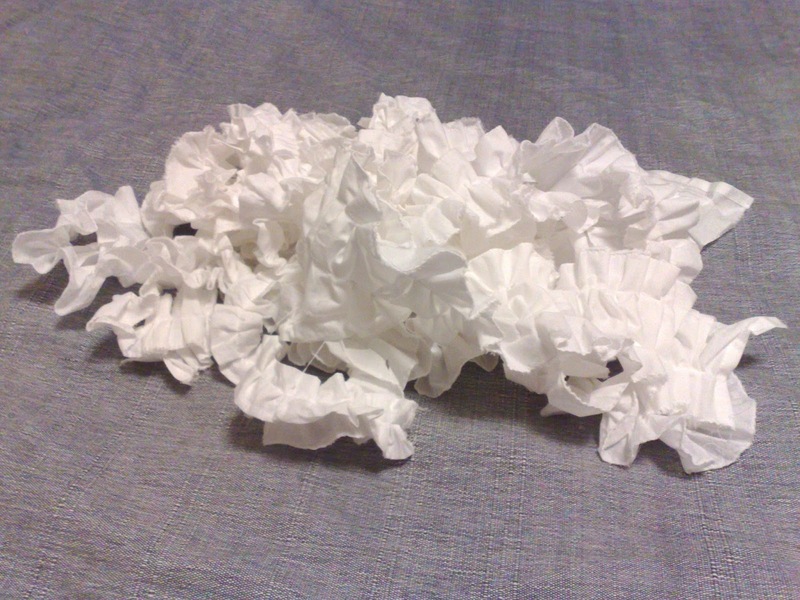 So I ruffled and ruffled and ruffled away until I felt that I have enough. 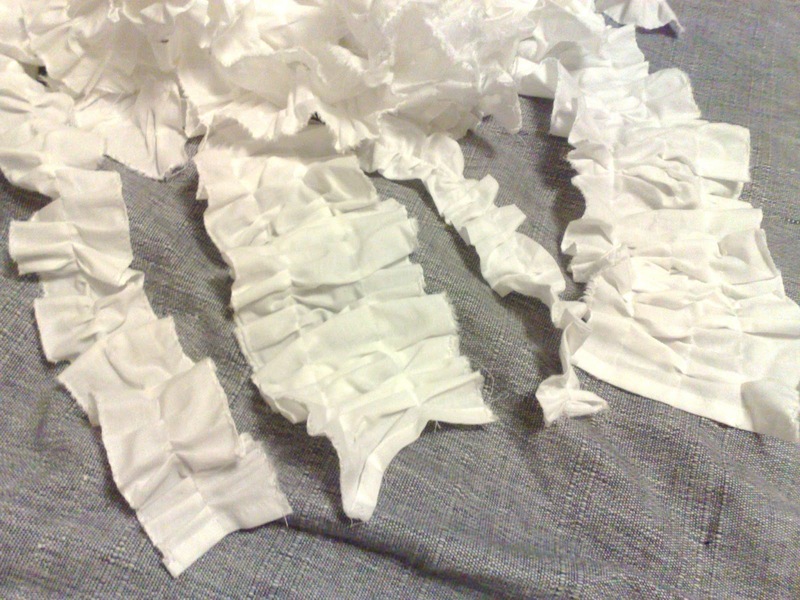 (I ended up making some more ruffles after I had pinned the existing ruffles on the "base" because I felt that it needed at least 3 more rows of them) This was actually the funnest part of this project, to see the pile of ruffles grow bigger and bigger. Then I placed the ruffles on the base piece and pinned them to place. 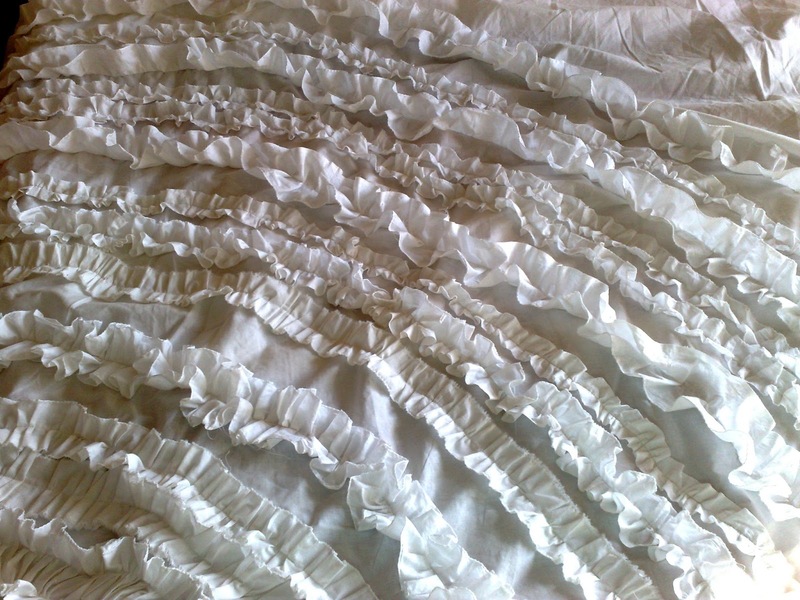 After this I stitched all the ruffles in place with my machine. 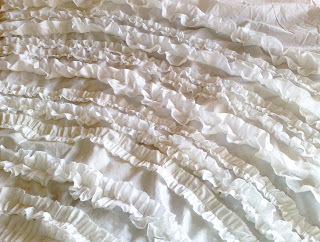 Some of the ruffles needed two rows of stitches to hold them in place the way I liked it. After this I also made a long continuous ruffle by stitching 6 2m long (13cm wide) strips of fabric together. 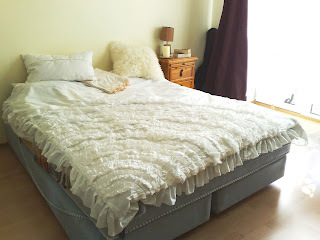 i did this to make the ruffle edge to the duvet cover because I felt that it needed some kind of trim or edge to finish the look I was going for. So I placed the minimalistic side right side up, then I placed the ruffled trim around the edges so that the edge of the trim that I wanted showing was towards the center of the cover and the other edge was even with the edge of the cover. And then I placed the ruffled side on top with the wrong side up. Ok, I know this all sounds very confusing, but I tried to do a little illustration to make things (maybe?) a bit more clear :P Please keep in mind that I really can't draw at all ;D The yellow parts indicate the ruffles. I absolutely LOVE how it turned out. 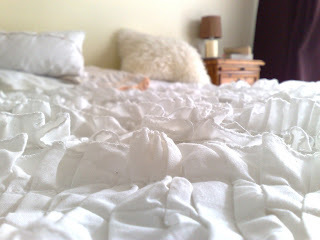 I've never been so happy to finish a project :)) It gives our bedroom a very idyllic and kind of a fresh feeling. Anyways I love it! I hope you enjoyed and have great weekend!